Wedding is an important occasion for all people. It is the big day in the life and this is why, people all around the want to celebrate their wedding in a grand manner. This is because wedding is a onetime celebration and is an important event in the life. As wedding is this much important, people normally make a lot of arrangements for their big day. They do a lot of things and arrange the marriage in a grand way. The first thing comes to mind when thinking about marriage is the decoration. Everyone wants to decorate their marriage in a grand manner. Also, for marriage decoration people use different things. Most of them hire professional services for marriage decorations. One of the most important factor used for marriage decoration are the flowers. 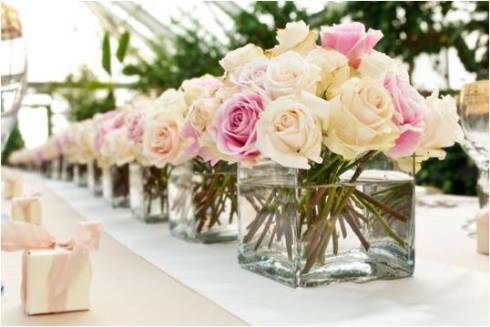 Flowers play a vital role in the decoration of a marriage. Generally, all of us like to decorate any special event with flowers. If you want to decorate your marriage with flowers and searching for flower decoration ideas take a look at the below steps. Before going to the decoration order the number of flowers you need online like ordering wedding cards online and start your decoration. If you want to set up a romantic outdoor tent for your wedding then cover it up with the flowers. Cover the tent with beautiful flowers and hang some Amaranthus flower spray and bundles of branches. If there is any fountain in your marriage hall, decorate it with some flowers. Decorate the fountain with some greenery and hydrangea flowers like an overflowing fountain. To add extra beauty, and, to give a romantic feel, place some floating candles and lily pads in the pool. Decorate the floor-to ceiling and the wall at the back of the couples with the combination of some greenery and color coordinated blooms. This will set a perfect scene for taking photographs in the ceremony. Try some contrast color flower drops as the backdrop as it will give a good look. Tap some small individual flowers on the walls as these create a wonderful backdrop. It is suitable for the ceremony as well as the photo background. This arrangement looks great as the buds stand out against the wall beautifully with vivid colors and the aligned stems give some aesthetic feel. When deciding on the arrangements and types of flowers for your wedding, keep in mind the season, location, theme, and other factors around you. These will guide you and can even give you brilliant and creative ideas to make your event even lovelier than the way you imagined it to be.